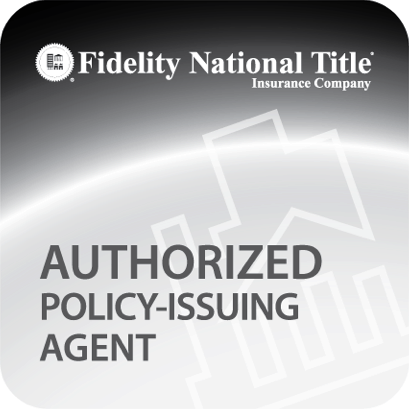 FLORIDA TITLE & GUARANTEE AGENCY IS A FULL SERVICE TITLE AGENCY WORKING WITH BUYERS, LENDERS AND REAL ESTATE PROFESSIONALS. Click here for the Closing Experience. Florida Title & Guarantee Agency is proud to say that we have the necessary experience to meet or exceed the compliance guidelines that are required of lenders. Selling your house? Florida Title & Guarantee Agency will work with you to to make the experience for you and the buyer as smooth as possible. "James and the team at Florida Title and Guarantee Agency have been very pleasurable to deal with and has been my top recommendation for my clients for many years. There have been cases of some roadblocks that we all had to overcome and because of his and FTGA’s knowledge, experience, communication and honesty we have successfully overcome them without causing extra stress on any of the parties. James is very good at his job and from my experience explains the process very well. You can clearly see how the extra attention eases any stress there is in the closing. It is our job as real estate professionals to make a transaction go smooth for all parties involved and I am honored to have James and Florida Title and Guarantee Agency as part of my elite referral team in addition to my services." “I would recommend Florida Title & Guarantee Agency because she has a great open door policy and very timely responses, which makes for exceptional communications. She is very knowledgeable and friendly. Angela answers her phone all hours of the day and that is priceless beyond measure." "I am pleased to recommend FTG. Great service, knowledge and the team is always genuinely happy to serve their clients. Accessible and willing to go the extra mile when needed." Lisa is very personable and she put's my buyer's and/or seller's at ease. Constant communication and updates with how the process is going. She is very conscious on how she explains the paperwork and does not rush through it. Most of all Lisa is VERY professional. Lisa is a big asset to Florida Title & Guarantee. I cannot say enough good things about her. She is kind, caring, trustworthy, and ethical and again Lisa is very professional." "The reason's I do business with Florida Title & Guarantee and Lisa Nuccio is because: Lisa is very personable and she put's my buyer's and/or seller's at ease. Lisa answers her calls. Constant communication and updates with how the process is going. She is very conscious on how she explains the paperwork and does not rush through it. Most of all Lisa is VERY professional. Lisa is a big asset to Florida Title & Guarantee. I cannot say enough good things about her. She is kind, caring, trustworthy, and ethical and again Lisa is very professional."